Daltile unveils a newly renovated design studio in the heart of Manhattan. The remodeled 3,700 square-foot studio space, featuring both Daltile and sister brand, Marazzi, products, was designed by designers for designers as a collaborative workspace. 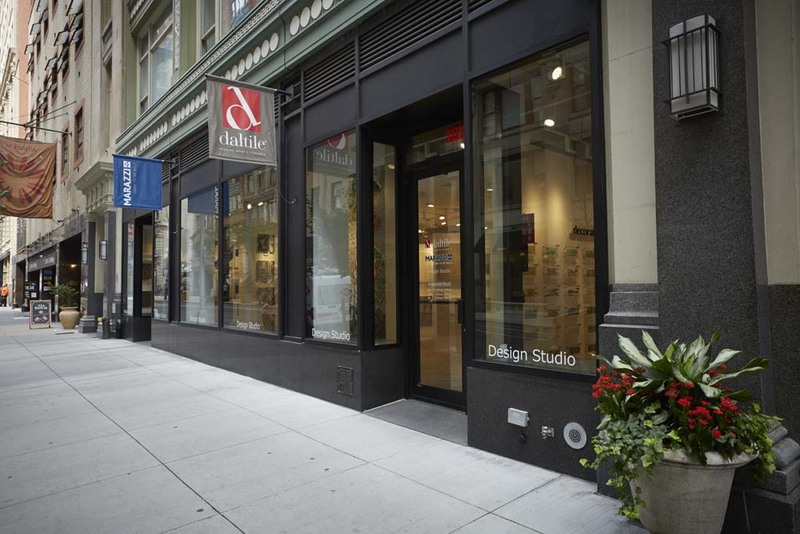 The Daltile and Marazzi Design Studio is nestled among other architectural and design firms, and is conveniently located between Broadway and Park Avenue, near Union Square. 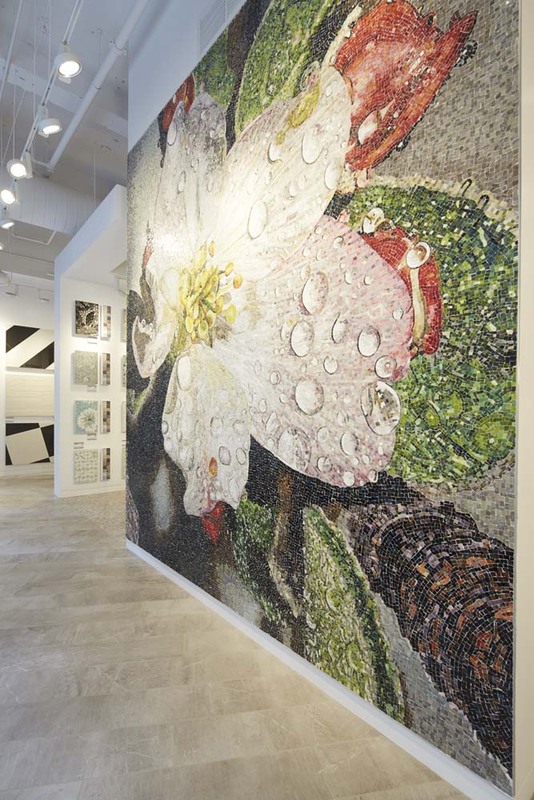 An intricate mosaic wall depicting an apple blossom greets visitors, alluding to the city’s famed nickname. 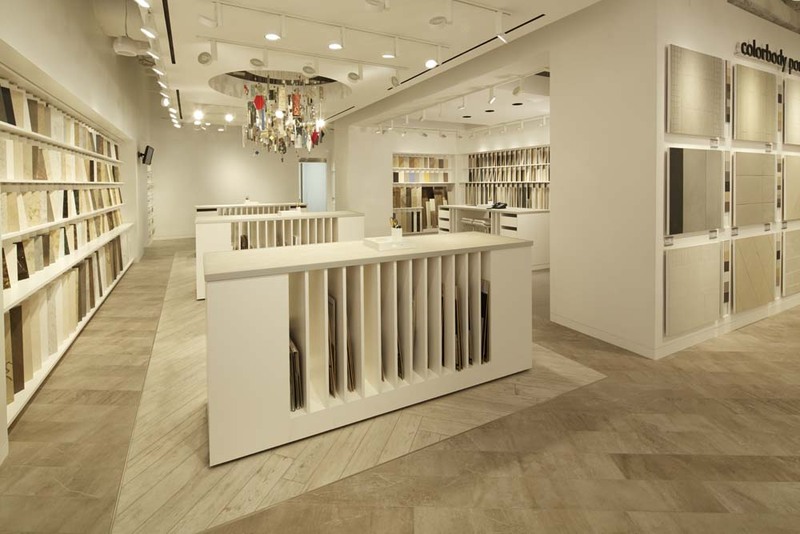 Daltile’s Design Studio’s open concept design features movable workstations. Designed to accommodate networking and local design association events for organizations such as the Industrial Designers Society of America (IDSA) and the American Institute of Architects (AIA), the studio’s open concept design features movable workstations, and can seat 100 comfortably. Wall panels throughout showcase individual collections by material and application, along with two vignettes – a kitchen and bath – that highlight unique product application. The studio radiates an urban, contemporary feel throughout, with finishes in gray and neutral tones showcasing a variety of tile, countertop and natural stone options. A custom chandelier, designed by local Dallas artist Tony Collins, is crafted with tile pieces and hangs in the center of the space over a large meeting table, while a hospitality area features a stunning book-matched quartzite backsplash. Overall, the studio space feels like a sophisticated design firm with communal worktables and easy access to product samples. A loose tile library provides customers with full-size samples to help them match and coordinate colors and styles for their projects. Light panels show how tile will look in different settings, an important factor in choosing the correct tile for a customer’s space. Digital tools in the studio allow customers to bring their design ideas to life. An LCD touch screen lets customers virtually flip through the digital catalog, view inspiration gallery images and build out designs with the tile and stone visualizer tool. The studio, located at 49 E. 21st Street, is the fifth Daltile design studio to open its doors, joining Dallas, Philadelphia, San Francisco and Miami as a regional design hub for the brand. For more information about the Daltile and Marazzi brands and products, visit Daltile.com or MarazziUSA.com.